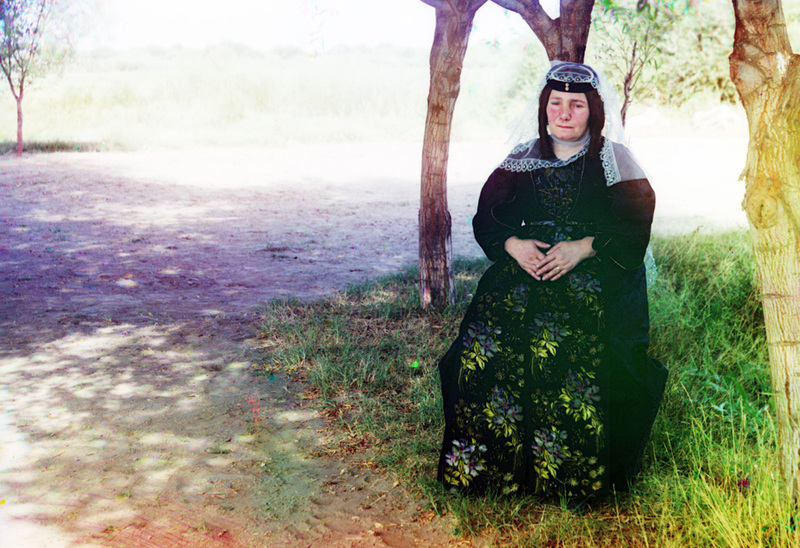 Ok, this is not exactly fashion, more like a great source for inspiration and research on historical ethnic dress. Anyway, very beautiful pictures of unbelievable for that time quality. 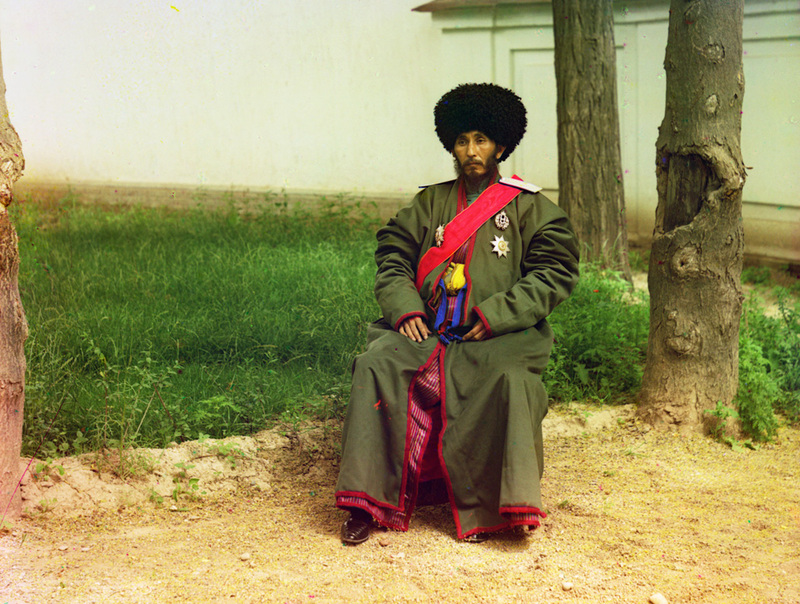 Between 1909 and 1912 photographer Sergei Mikhailovich Prokudin-Gorskii undertook a photographic survey of the Russian Empire with the support of Tsar Nicholas II. 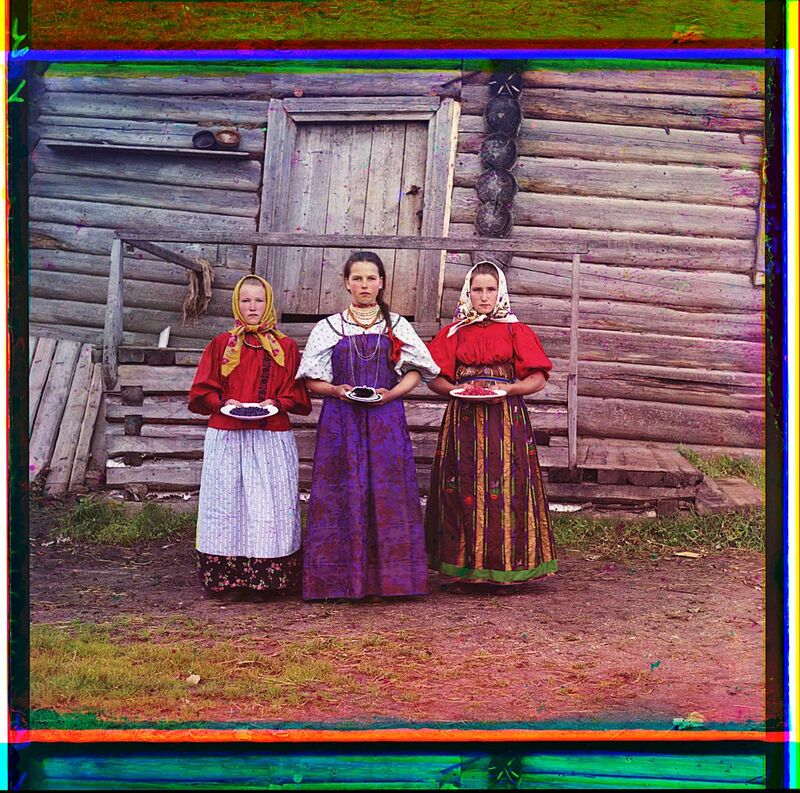 He used a specialized camera to capture three black and white images in fairly quick succession, using red, green and blue filters, allowing them to later be recombined and projected with filtered lanterns to show near true color images. The Library of Congress has purchased the original glass plates back in 1948. 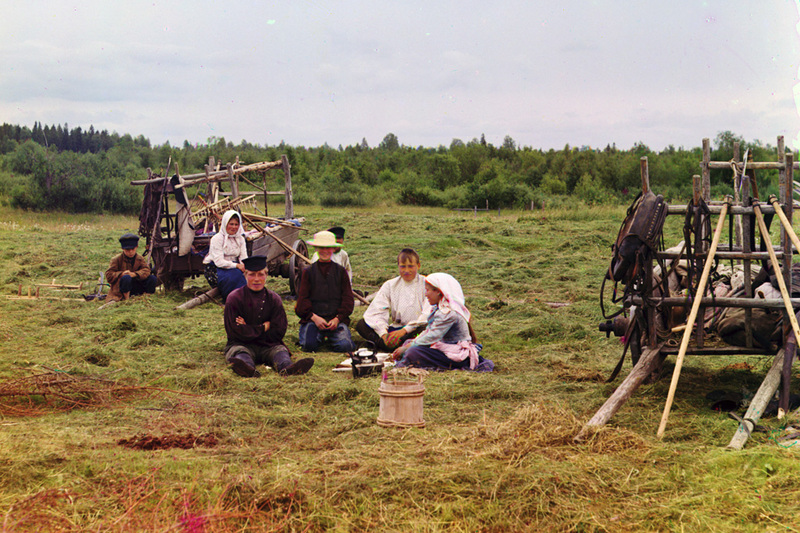 Peasants harvesting hay in 1909. 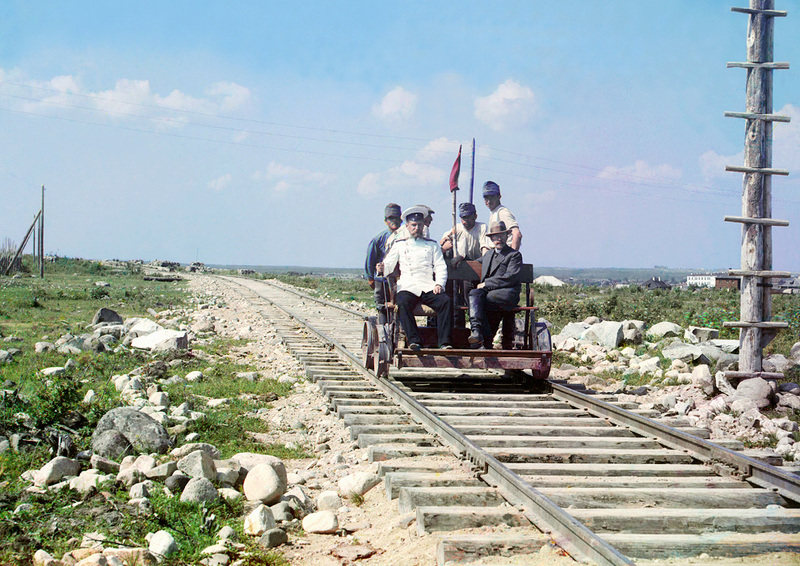 Prokudin-Gorskii (on the right) rides along on a handcar outside Petrozavodsk on the Murmansk railway along Lake Onega near Petrozavodsk in 1910. Laying concrete for the dam’s sluice, 1912. 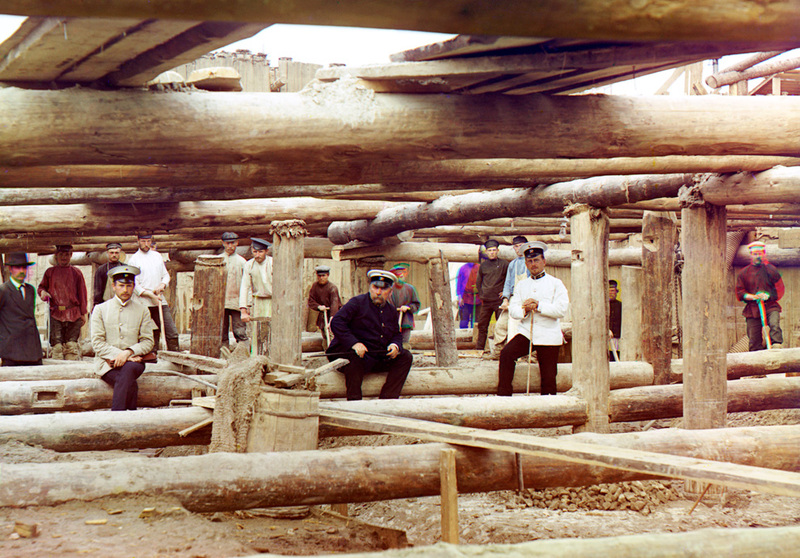 Workers and supervisors pose for a photograph amid preparations for pouring cement for sluice dam foundation across the Oka River near Beloomut. 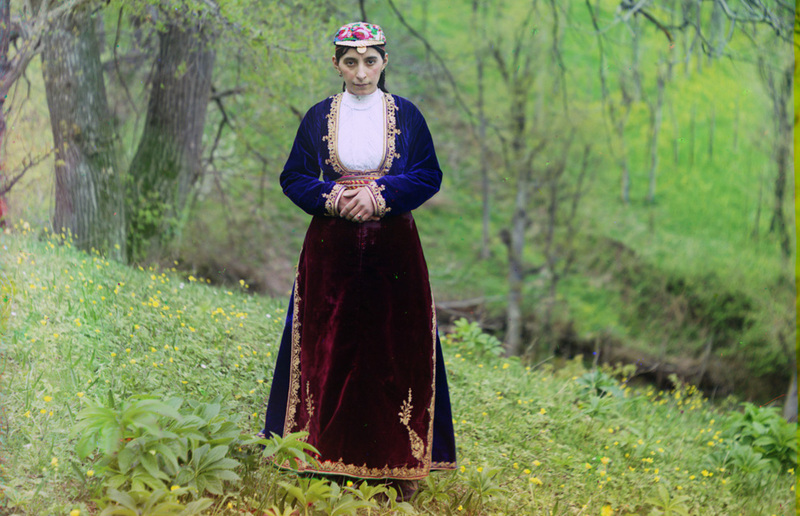 A Georgian woman, ca. 1910. 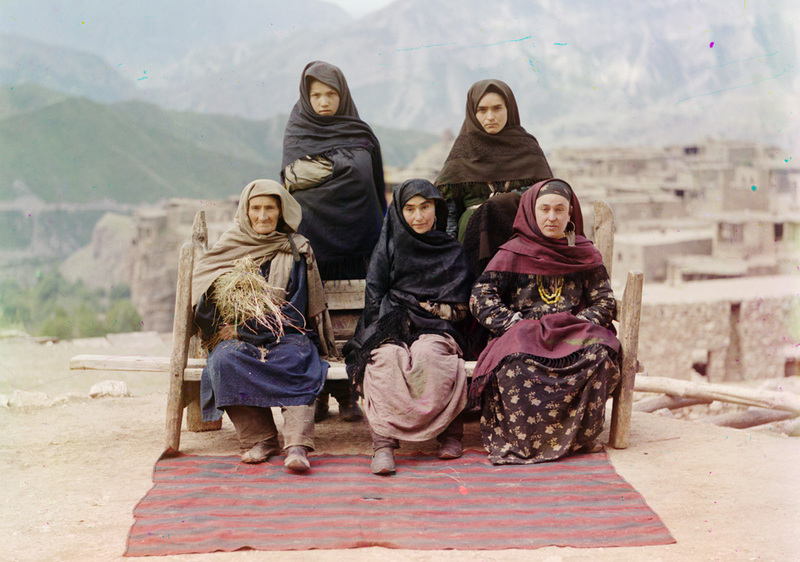 A group of women in Dagestan, ca. 1910. 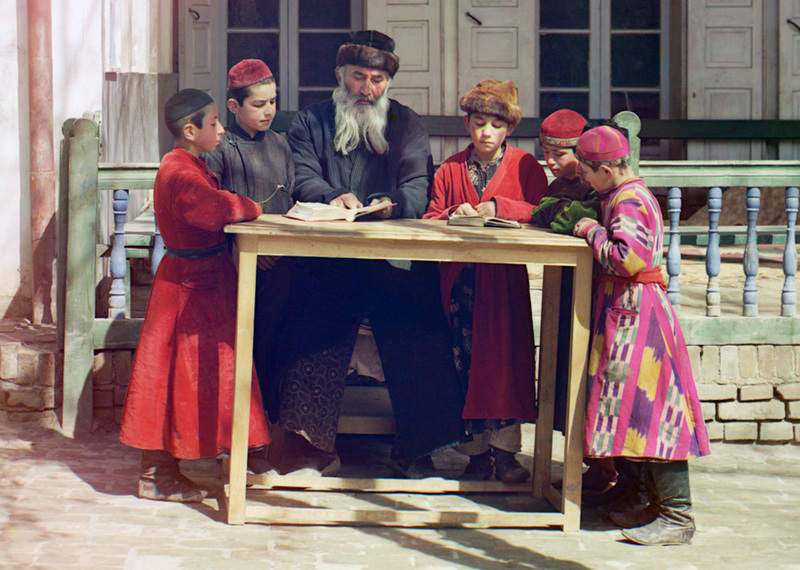 A group of Jewish children with a teacher in Samarkand, (in modern Uzbekistan), ca. 1910. 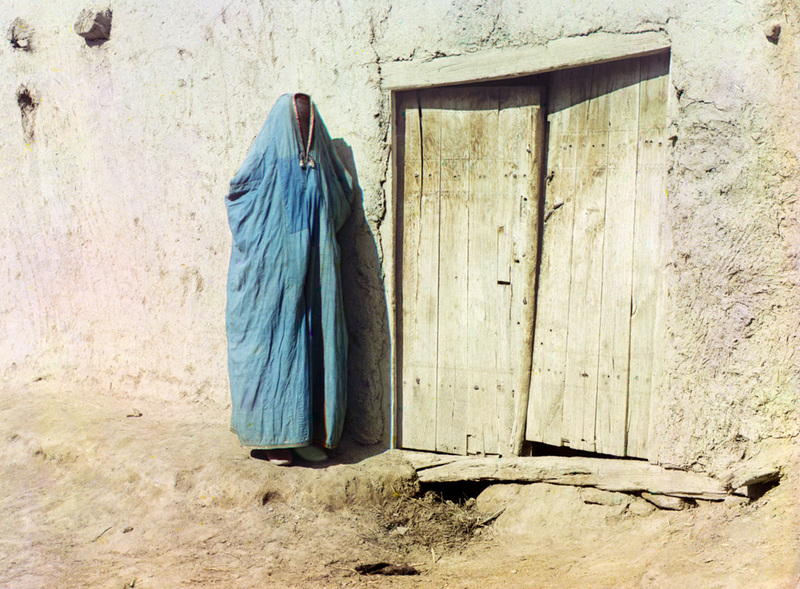 Sart woman in purdah in Samarkand, Uzbekistan, ca. 1910. 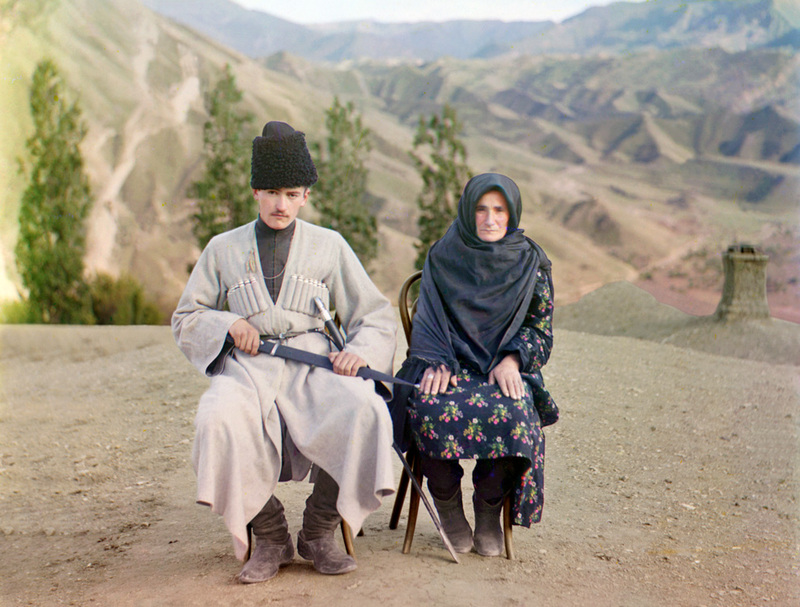 Until the Russian revolution of 1917, “Sart” was the name for Uzbeks living in Kazakhstan. 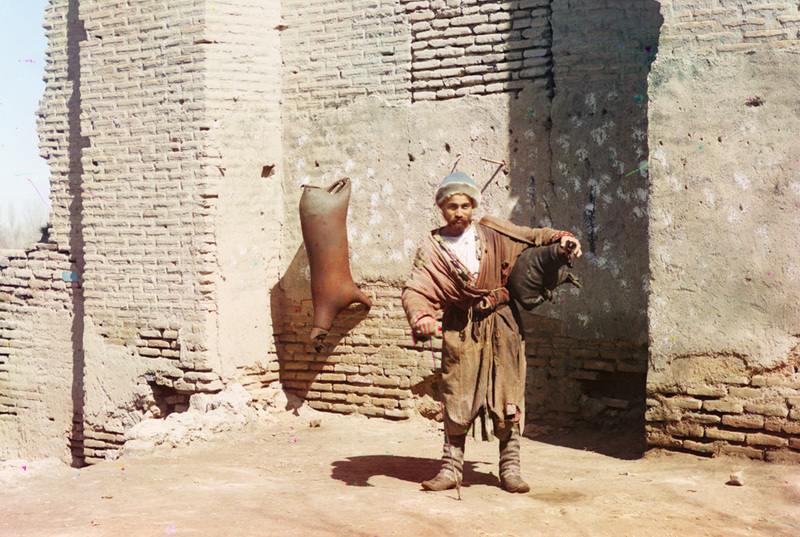 A water-carrier in Samarkand (present-day Uzbekistan), ca. 1910. 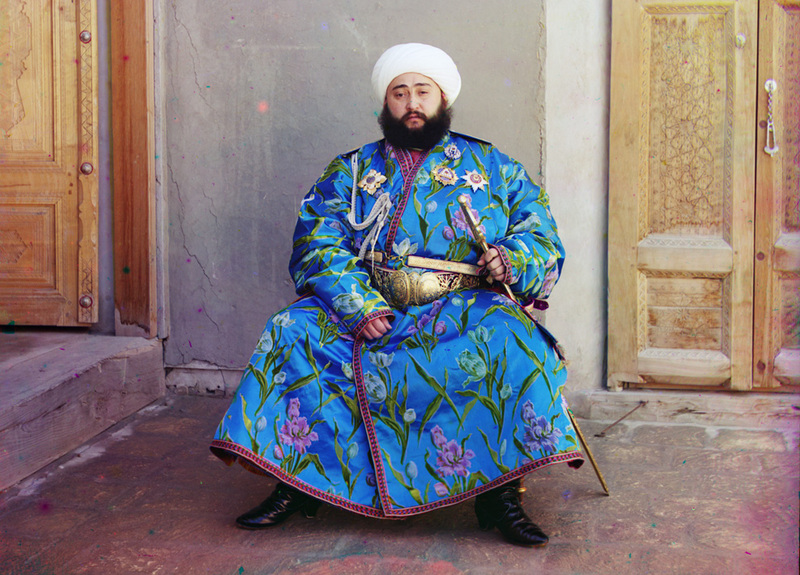 The Emir of Bukhara, seated holding a sword in Bukhara, (present-day Uzbekistan), ca. 1910. 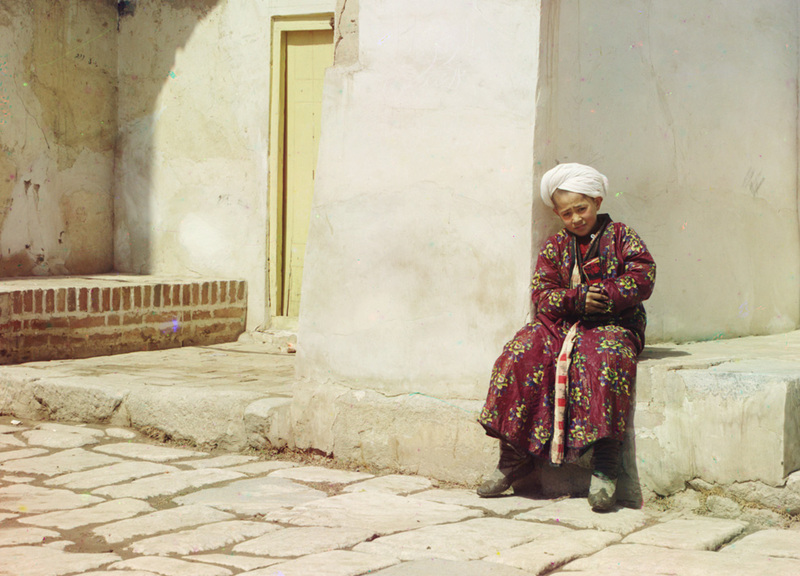 A boy sits in the court of Tillia-Kari mosque in Samarkand, present-day Uzbekistan, ca. 1910. Wow. I feel as if I could just jump right into these pictures. Very beautiful.